The rent at Cypresswood Court Apartments ranges from $738 for a one bedroom to a $988 two bedroom. Apartments in this building are about 17% less expensive than the Spring average. This is a pet-friendly apartment. This apartment is in Spring. Cypresswood Court Apartments has a Walk Score of 30 out of 100. This location is a Car-Dependent neighborhood so most errands require a car. "At Cypresswood Court apartments in Houston, TX. Take advantage of the convenience to the Cypresswood Golf Club, Deerbrook Mall, Walmart Supercenter, Sam's Club, Costco Wholesale, Target, Best Buy, and more! On the property, you'll find resort-like amenities available to you everyday! You can also take advantage of the picnic tables and grills, two swimming pools, two spas, air conditioned clothes care facility, and dog park on site. Inside our apartments you'll find large kitchen appliances full-size washer/dryer, built-in bookshelves, outside storage, cozy fireplace, private patio or balcony, and more! " Explore how far you can travel by car, bus, bike and foot from Cypresswood Court Apartments. 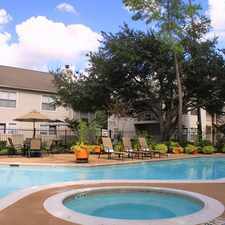 Cypresswood Court Apartments is in the city of Spring, TX. Spring has an average Walk Score of 22 and has 54,298 residents.